General marine transport of all kinds, including containerised, break-bulk and bulk cargos, using owned and chartered vessels of all types. Customised marine transport services by tug, barge, LCT and conventional vessels, including chartering of ocean going vessels, to provide bespoke quay to beach, beach to beach and quay to quay solutions. 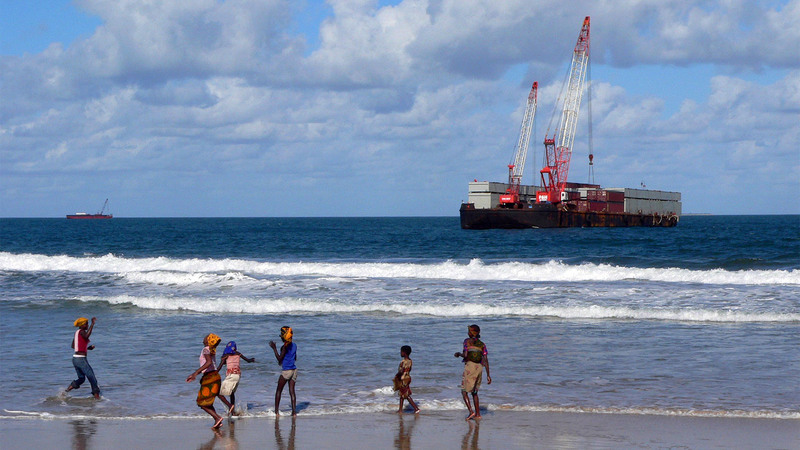 Loading and offloading any cargo across the beach including the use of the Exposed Beach Operating System (EBOS™) and Safe Beach Operating System (SBOS™) developed by Comarco. Lightering, transhipping and stevedoring at sea solutions for all cargo types from vessel to barge including bulk, breakbulk, rigs, project and heavy lift, at anchorage or alongside the quay. Providing rapidly established, eco friendly beach landing sites, enabling the delivery of any cargo from anywhere in the world to specific remote locations. Handling of all types of cargos on and off barges, over the beach and across the foreshore using trucks and trailers, conveyors, forklifts and cranes. Vessel charters on time or voyage basis, including fuel, cargo and materials transport to remote locations both onshore and offshore. Providing the expertise and equipment, both owned and chartered, for safe and reliable heavy lift marine transportation and logistics services for port cranes, project cargo, offshore construction and offshore modules. Supervising, loading and providing customised marine transport solutions for coated and bare pipe delivered directly to offshore lay barge. Deep sea towage, emergency towage and salvage of vessels and cargo using dedicated equipment and experienced crew and masters. 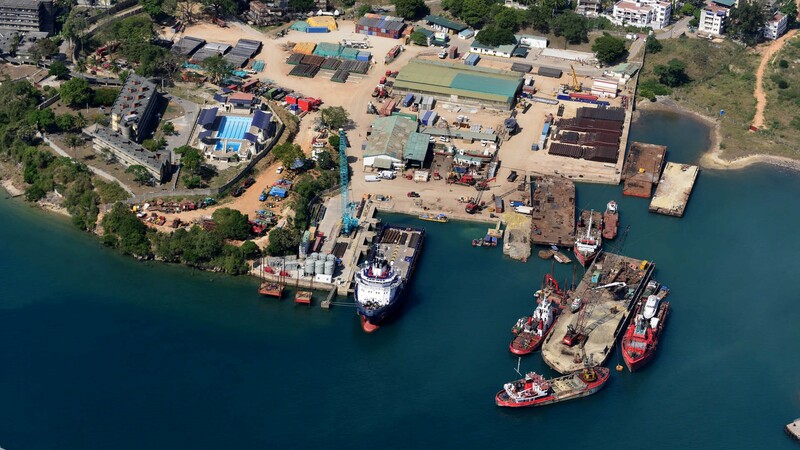 Deep water berthing at a harbour fronted private port facility in Mombasa, offering private stevedores and well maintained equipment to handle bulk and breakbulk cargo as well as rigs and project cargo. Operating a fully equipped, managed and resourced EPZ supply base in Mombasa, Kenya with dedicated berthing, warehousing and open storage. Well furnished workshops with experienced management and work force to undertake the maintenance, repair and construction of owned and third party vessels and equipment. Including: Construction of jetties, quays and sea walls. Assembly and installation of aids to navigation. Piling and dredging. Bathymetric, geotechnical, topographical surveys. Subsea pipeline installation. IACS approved dive spreads, equipment and divers offering a full scope of underwater work, including construction work, pipelines, blasting, welding, cleaning, hull/propeller cleaning and inspection services. Providing prompt and efficient customs clearance services for seafreight, airfreight and project cargos, as well as port agency work, vessel husbandry, crew management, bunkering and chandlery. Providing mobile and crawler cranes up to 270 mt capacity and multi axle trailers up to 500 ton capacity. Including: Rig moves to/from remote locations. Rig site preparation. Overland rig transport. Rig set up and access preparation. Project / Site camp set up and operation. Rig and drilling support labour. Comarco owns and operates a large fleet of earthmoving plant, construction equipment, trucks, forklifts and cranes, all of which are available for project support or independent hire. Comarco owns and operates the largest fleet of vessels along the East African coast, all of which are available for hire on either time or voyage charter basis.